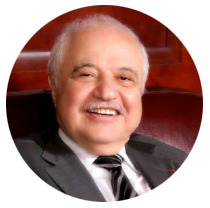 Talal Abu Ghazaleh is the chairman and founder of the Jordan-based international organization, Talal Abu-Ghazaleh Organization (TAG-Org). He has been called the godfather of Arab accounting and been credited with promoting the importance of Intellectual Property in the Arab region. Dr. Abu-Ghazaleh designed and produced TAGI TOP – a top of the line laptop with the portability of a netbook. His Knowledge Society is one of the foremost initiatives by HE Senator Talal Abu-Ghazaleh that empowers young Arabs under the TAG-Org’s corporate responsibility. He has published multiple dictionaries: Abu-Ghazaleh ICT Directory (2008), The Abu-Ghazaleh Accountancy & Business Dictionary (2001), The Abu-Ghazaleh IP Dictionary (2000), and The Abu-Ghazaleh English-Arabic Dictionary of Accounting (1975). Dr. Abu-Ghazaleh has received many honors, including: Social responsibility awards launched by CSR Regional Network for his work in social initiatives (Kingdom of Bahrain, 2014), Man of the Year Award from Palestine International Institute (Amman, 2012), Honorary Award from the Arab Federation for the Protection of Intellectual Property Rights (Jordan, 2009), The International Lifetime Achievement Award (Dubai, 2008), IP Hall of Fame Inductee in the IP Hall of Fame Academy (Chicago, USA, 2007), Honorary Doctor of humane Letters (Canisius College, New York, 1988), Decoration of the Republic of Tunisia (1985), Chevalier de la Legion d’honneur (France, 1985), etc. Besides being the chair of the Honorary Council Members of the Consortium of Sustainable Development, Dr. Abu-Ghazaleh has been chair of Global Alliance for ICT and Development (2009-2010), Vice Chairman Board of Directors of UN Global Compact (2007-2008), Vice Chair of the UN Information and Communication Technologies Task Force (2001-2004), and many others. Margaret O’Donoghue Castillo, AIA, LEED AP, is Chief Architect of New York City as appointed by the NYC Department of Design & Construction. She is past president of the AIA New York Chapter, and was a principal at Helpern Architects in New York City. Under the theme of Design for a Change, she led the chapter in collaborations with the Mayor’s Office of Long-term Planning & Sustainability, the Department of Buildings, and the AIANY Chapter Committee on the Environment to create programs to educate architects and the public on sustainable building design. The theme recognizes the essential, now unavoidable shifts in the way buildings and neighborhoods are created where each decision has an impact on our health, our safety, and the environment. In 2010 she presented New York City’s PlaNYC at the World Urban Forum 5 in Rio as a member of the Consortium for Sustainable Urbanization. At Helpern she is the lead architect for restoration projects that combine sustainability with historic preservation. She has lectured extensively and her projects have been featured in numerous professional publications. Margaret has emerged as a spokesperson for the New York architectural community. 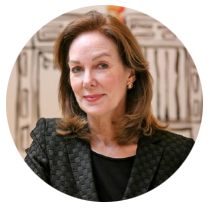 Margaret has been involved with AIANY for many years, as chair of Historic Buildings Committee from 2004 to 2008, and the 2009 Vice President for Public Outreach. She received a BA from Boston College and a MArch from Harvard University’s Graduate School of Design. 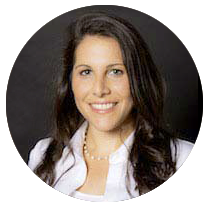 Megan Sterling Chusid, AIA, is a seasoned professional with over sixteen years of experience in the New York City Architecture/Engineering/Construction/Real Estate industry. Megan is currently the Senior Facilities Project Lead, Global Design and Construction at Metropolitan Life Insurance Company. Megan was previously responsible for the administration of all owned and leased properties, space utilization, capital planning and project management for the Solomon R. Guggenheim Foundation and Museum. Prior to joining the Guggenheim, Megan oversaw the daily operations of a boutique construction Management firm and practiced as an architect with a focus on high rise residential and mixed use developments in and around NYC. Megan has served as Co-chair of the Emerging New York Architects Committee-AIA NY Chapter from 2007-2009, served on the Board of Directors of the AIA NY Chapter (2010-2012) and was Co-Chair of the Greensward Circle Young Leadership Committee of the Central Park Conservancy. Megan grew up attending the United Nations International School in NYC and received her Bachelor of Architecture from Syracuse University School of Architecture. SARBULAND KHAN is the former Executive Coordinator of the Global Alliance for ICT and Development. Prior to this assignment Mr. Khan was the Director for the Office for Economic and Social Council Support and Coordination of the United Nations Department of Economic and Social Affairs. Mr. Khan directed the preparation of the Ministerial meeting of the Economic and Social Council on ICT for development and has been responsible for its follow-up and the establishment of the United Nations Information and Communication Technology Task Force. Among his twenty-four years of professional experience within the United Nations, he has held positions as the Branch Chief for the Policy Coordination and Interagency Affairs, Chief for the Office of the Under-Secretary-General of the Department for International Economic and Social Affairs, and Special Assistant to Under-Secretary-General for Political Affairs and Decolonization. 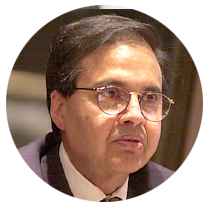 From 1979 to 1981, he served as delegate of Pakistan to the General Assembly of Economic and Social Council Prior to joining the United Nations, Mr. Khan was the Director for the Economic Coordination in the Ministry for Foreign Affairs of Pakistan, and served in embassies in Morocco, Brussels and The Hague. From 1967 to 1969, Mr. Khan was an Assistant Professor in the Department of Economics in Punjab University of Lahore and staff Economist at the Pakistan Institute of Development Economics in 1966-67. Mr. Khan has a Masters degree in economics, a post-graduate diploma in International Economic Relations from the Institute for Social Studies, The Hague. 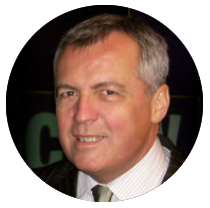 He has authored a number of publications and various articles in economics for books, journals, newspapers and magazines. 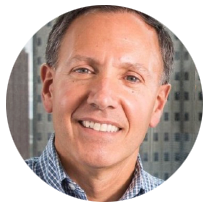 Thomas G. Dallessio AICP/PP, RSA, is an Independent Consultant at Thomas G. Dallessio AICP/PP/CPM/FRSA. Thomas was previously President, CEO & Publisher of Next City, Inc. – a nonprofit organization with a mission to inspire social, economic and environmental change in cities through media and events. The Next City Daily and Weekly electronic newsletters are read widely around the world by people in the know, and the Vanguard conference for urban leaders under 40 has become the premier program to advance urban interests. Tom was the founder and Director of the Center for Resilient Design at the New Jersey Institute of Technology, and has lectured widely on resilient design, including at the United Nations in celebration of World Cities Day, in Medellin, Colombia at the World Urban Forum 7, and at the makeCalgary Resilient International Symposium. An Adjunct Instructor at NJIT’s College of Architecture and Design, Tom teaches Land Use Planning and Infrastructure Planning Policy to graduate and undergraduate students in the Master of Infrastructure Planning program. 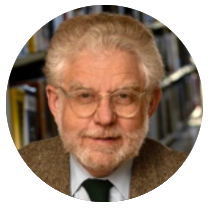 A licensed professional planner, member of the American Institute of Certified Planners, and Fellow of the Royal Society for the encouragement of Arts, Manufacturers and Commerce, Tom is an Honorary Council Member of the Consortium for Sustainable Urbanization. Carmi Bee, FAIA, has been deeply involved in planning and architectural research, beginning with his early work at Princeton and continuing as a consultant to several major firms. He has been with RKTB since 1981. Mr. Bee has been committed to investigating the problem of urban building in all forms. He has produced innovative designs for a wide range of building types, including new, renovated and restored residential buildings, retail spaces, offices, educational and performance facilities. In 2001 he designed a ground-breaking infill prototype for affordable housing which is aimed at filling vacant lots scattered throughout the city’s residential neighborhoods. Known as “Smart Housing,” this concept has been successfully applied to a number of projects in New York City and can serve as a model in other cities, as well. These include the Msgr. Anthony J. Barretta Apartments, Madison Putnam Housing, Maynard Co-Ops and Prospect Gardens. Other notable projects include additions to P.S. 29Q and P.S. 70Q, the new PS/IS 338X, School for the Physical City, South Orange Performing Arts Center, FDNY Engine Company 201, the infill addition to New York Methodist Hospital, the Norma Kamali Building, Turtle Bay Residences, River Rose Residences in Battery Park City (with Charles Moore), The Memphis Residences and City Center Theater. Vincent Boudreau was appointed President of The City College of New York by the Board of Trustees of The City University of New York on December 4, 2017. 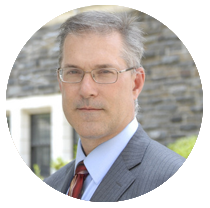 Vincent has served as Interim President of CCNY since November 2016. Prior to that appointment, Vincent was inaugural dean of the Colin Powell School for Civic and Global Leadership at CCNY since 2013. He was previously director of the Colin Powell Center for Leadership and Service from 2002 through 2013.” at CCNY, and is a professor of political science at City College and a member of the City University of New York graduate faculty. A specialist in the politics of social movements, particularly in Southeast Asia, his latest book is Resisting Dictatorship: Repression and Protest in Southeast Asia (Cambridge University Press) He also conducts research about government transitions to democracy, collective violence, and the relationship between civil society, social movements, and democratization processes in Indonesia and the Philippines. He is the academic adviser to the International Development Program at the City University of Hong Kong. 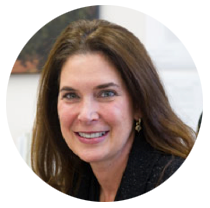 At City College, Dr. Boudreau has served as the director of the M.A. Program in International Relations, the chair of the Department of Political Science, the director of the International Studies Program, and the deputy dean of the Division of Social Science. In addition to his academic work, he has undertaken projects with ActionAid Asia, Jubilee South Asia, and The Philippine Rural Reconstruction Movement, and has consulted for Oxfam Asia, Action of Economic Reform (Philippines), and Freedom House. Dr. Boudreau received his Ph.D. from Cornell University in 1991. 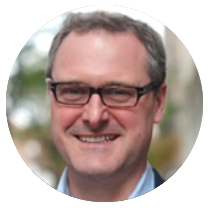 Tom Wright is the President of Regional Plan Association, a non-profit urban planning think-tank focused on improving the prosperity, infrastructure, sustainability and quality of life of the New York-New Jersey-Connecticut metropolitan region. He has steered many of the organization's key initiatives, including the Draft Vision Plan for the City of Newark (2006) and A Region at Risk: The Third Regional Plan for the New York-New Jersey-Connecticut Metropolitan Area (1996). Mr. Wright oversees the day-to-day operations of RPA and coordinates activities with the Board of Directors. Prior to becoming president on Jan. 1, 2015, he was RPA's executive director. Previously, he was deputy executive director of the New Jersey Office of State Planning, where he coordinated production of the New Jersey State Development and Redevelopment Plan (2001). From 1991 to 1993, he was coordinator of the award-winning Mayors' Institute on City Design, sponsored by the National Endowment for the Arts. Mr. Wright lectures widely on growth management and regional planning. He is a visiting lecturer in public policy at Princeton University's Woodrow Wilson School of Public and International Affairs. 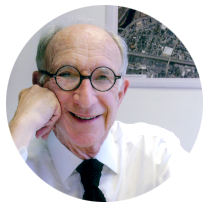 He has taught at the Columbia University Graduate School of Architecture, Planning and Preservation; the Lincoln Institute of Land Policy; and the New Jersey Institute of Technology School of Architecture. Mr. Wright is a member of NYC's Sustainability Advisory Board, which helped prepare PlaNYC 2030, and of New York City's Waterfront Advisory Committee. He is also a part of the Board of Directors for the Eno Center for Transportation and the Forum + Institute for Urban Design, and furthermore serves on the Advisory Committee for the J. Max Bond Center on Design for the Just City at the City College of New York. Mr. Wright received a Bachelor of Arts in history and a certificate in American Studies from Princeton University, and a Master of Science in Urban Planning from Columbia University. Erich Winkler is an Information Technology Professional with extensive experience in implementing innovative information technology and business intelligence solutions to improve the efficiency and effectiveness of large global companies around the world, both in highly developed and in newly emerging markets. Erich is particularly interested in the opportunities created by information technologies to improve the sustainability of our planet and thereby creating better living conditions for everyone. Erich has a degree in Business Administration from the School of Business Administration in Zurich (KVZ). He also served on the Board of the NY chapter of the Society for Information Management (SIM), and has been a guest lecturer on Information Technology and Leadership Development at several Business Schools in the New York Metropolitan area. 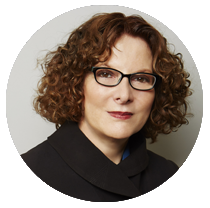 Maxinne Rhea Leighton has held numerous leadership roles as a senior-level strategist in design firms for the past twenty years, most recently at the consulting engineering firm Jaros, Baum & Bolles (JB&B). A co-editor of The Future of Cities: An Integrated Approach to Urban Cities, she was part of the writing and editorial team for the American Institute of Architects’ (AIA) Post-Sandy Initiative Policy Report as well as the SCAPE/Landscape Architecture Living Breakwaters team during the design competition for HUD’s Rebuild by Design. Ms. Leighton serves on the New York AIA’s Design for Risk and Reconstruction (DfRR) Committee, the Consortium for Sustainable Urbanization and has facilitated numerous panels on infrastructure at the United Nations and the AIA. She is author of An Ellis Island Christmas, a book for children about immigration (Viking Penguin), co-author of Grand Central: Gateway to A Million Lives (W.W. Norton) and Educating for Social Justice: A Dangerous Game: Matilda Joslyn Gage Center (Journal of Museum Studies). With a Master of Arts in Urban Studies from New York University, Maxinne Rhea Leighton is a doctoral candidate (PhD in Leadership and Change) focusing on sustainable urbanization within climate-vulnerable cities.